A historic gift to the college of $100 million will commence a massive campus-wide renovation project of almost every single building, from academic to dining to residence halls. 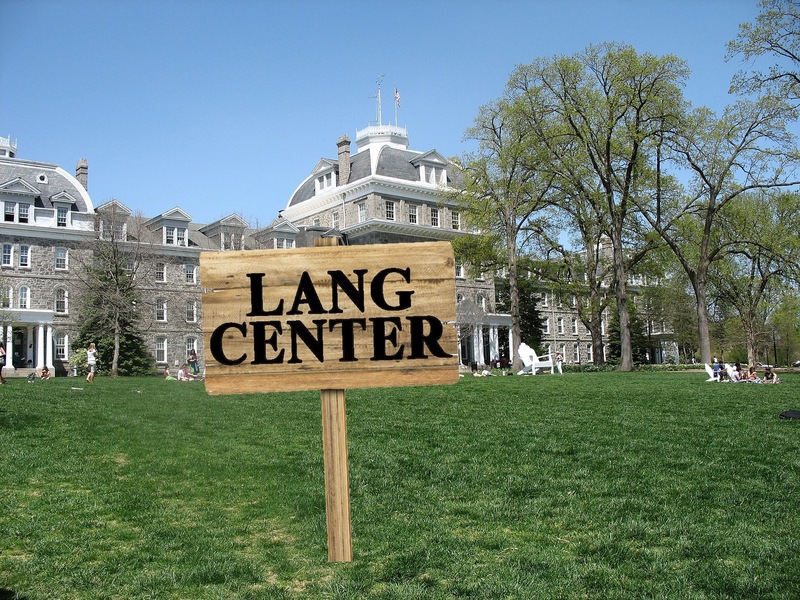 The contribution, donated by an anonymous alumni, comes with the caveat that every building involved in the renovation must be renamed “Lang,” or some variation of the name. Standing on the steps of the building formerly known as Parish Hall, President Smith continued, “I am speaking to you today from the entrance to the Lang Center for College Administration and Mail Delivery, or LCCAMD for short, heralding the arrival of a new era for this community.” Smith mentioned by name a few of the buildings that will undergo extensive renovation, including LBAC, the Lang Biological Arts Center (formerly Martin Hall), LCSL, the Lang Center for Student Life (formerly Sharples) and Lang Science Hall (formerly the Science Center). Sitting in the Lang Center for Socializing while Avoiding your Work that’s Out on the Table (LCSAWOT), which used to be known as Cornell Library, a group of students expressed some slight frustration with the recent changes. “When someone used to tell me ‘it’s in Lang,’ it wouldn’t be such a hassle figuring out what they were referring to. But yesterday I accidentally went to the Lang Center for Free Beer (LCFB),” formerly known as Phi Psi, “instead of the Lang Center for Finance and Business (LCFB),” formerly known as the econ section of Kohlberg. President Smith reassured students that the ambiguity and similarity of the names will ultimately not be a problem in a recent supplementary email.